Benjamin Marauder Field and Target – Did I just shoot the best group of my life! The Benjamin Marauder opened the door for affordable PCP airgun in the US market. Now they’ve taken things to the next level with the Benjamin Marauder Field and Target. Based on the classic Marauder, they’ve added an updated breach, tuned regulator, new barrel, and a host of other new features. 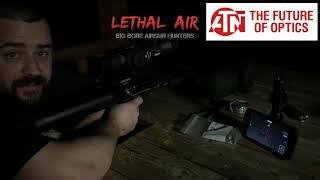 The result is an exceptionally accurate, quiet, and fun airgun that will stand toe to toe with rifles twice its asking price. The proof is in the shot groups! 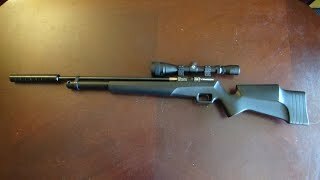 Take a look at what this great airgun can do. If you’re looking to get more trigger time and have a good time doing it, then this setup really hits the mark. Shooting Gear Reviews is produced by Dog River Design, LLC. https://www.dogriverdesign.com.